MyRay introduces its new RXDC HyperSphere high-frequency x-ray unit. 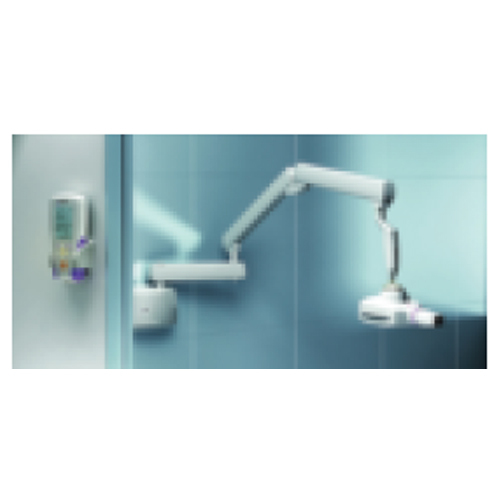 Specifically conceived for digital x-ray imaging, the RXDC x-ray unit's constant potential tube head combined with the smallest focal spot available for intraoral imaging (0.4 mm) guarantees consistently sharp images at exceptionally low x-ray dosage. Complete with a handheld wireless digital control device, the control unit can be installed anywhere in the surgery room. RXDC incorporates MyRay's revolutionary HyperSphere technology based on an exclusive full-swivel ball-joint, enabling total positioning freedom. The touch-sensitive lock-on/lock-off areas on the tube head allow the practitioner to reposition with extreme ease and precision.